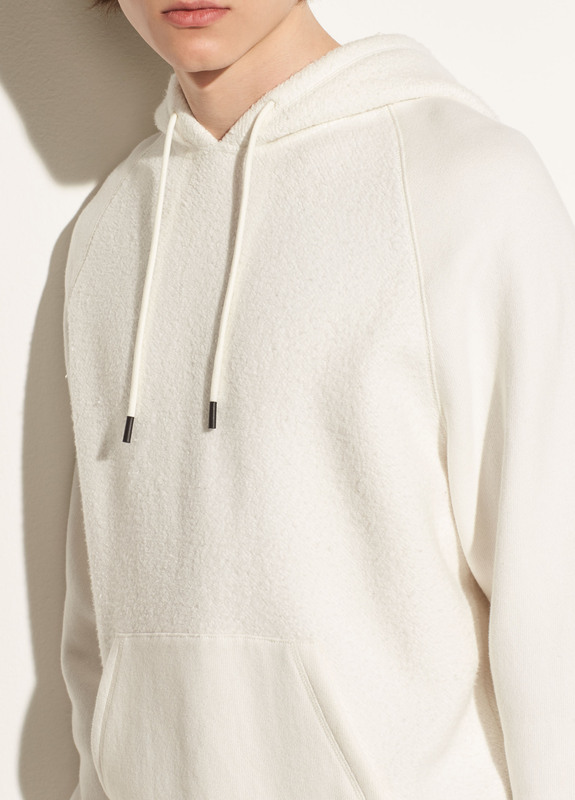 Cut for a classic fit, the teddy hoodie is paneled with plush and smooth jersey for tactile contrast. Balance the athletic feel with chinos. Model’s height is 6’2", chest 37”, waist 30”, inseam 34”. Model wears size M.